Humax is one of the first manufacturers to release details about a new range of Freeview HD receivers, choosing this year's IBC to unveil its latest player. While the machine on show was just a prototype, Wotsat managed to take a few pictures of it and glean some information about just what features the yet unnamed player will house. According to Wotsat's blog, the machine on show was a single tuner box, supporting both DVB-T2 and DVB-T, with MPEG2 and MPEG4 H.264 decoding – all ready for Freeview HD. What's rather special about this Freeview HD box is its ability to also stream content via DLNA. Couple this with the fact it will be able to record TV shows via USB on an external drive, according to Home Cinema Choice, and what you have is a nicely connected machine. 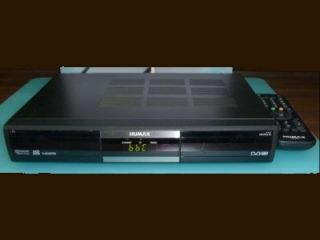 Wotsat also spoke to Graham North from Humax who confirmed the Humax's release date will be in the early part of 2010, with pricing similar to Humax's current Freesat range.